Adult asylum seeker Diaa, who appeared in a documentary with his underage German girlfriend on a television channel aimed at children, has now been revealed as a fan of radical Islamic preachers. 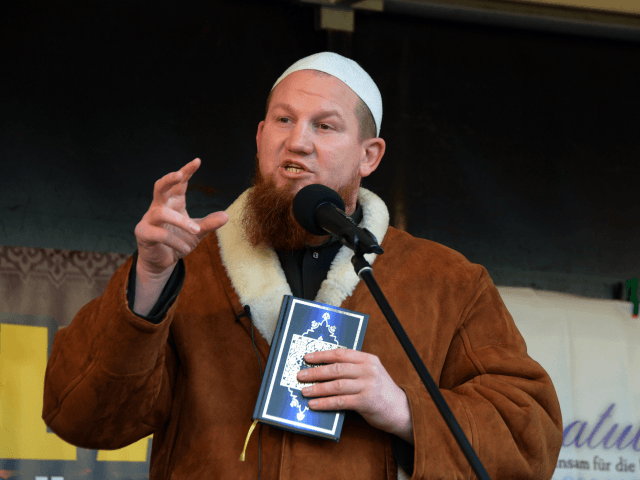 The 19-year-old Syrian, who claimed to have been underage for the controversial television programme, is a fan of German radical Islamic preacher Pierre Vogel, according to several “likes” he made on social media platform Facebook, Kronen Zeitung reports. As well as liking several posts by the radical Islamic hate preacher, the asylum seeker also entered a raffle that if he had won, would have seen him travel with Vogel and another even more radical Salafist preacher named Abul Baraa, to Mecca. Vogel, who goes by the nom de guerre Abu Hamza, is said to have directly inspired 15-year-old Safia S. who was sentenced to six years in prison last year for stabbing a police officer at a train station in Hanover in 2016. Safia was said to be under the influence of the radical Islamic preacher since she was only seven years old. Both Diaa and his underage German girlfriend Malvina have now had to ask for police protection because they claim to have received threats not only from outraged Germans but also from Islamic extremists who have declared Diaa “un-Islamic”. The documentary, which initially aired in November and was re-shown over the weekend, sparked outrage among many Germans as it not only promoted adult asylum seekers having romantic relationships with minors, but did so on the publicly-funded television channel Kika which is aimed at 3 to 11-year-olds. Others took issue with the fact that Diaa told his underage girlfriend how to dress and how to behave telling her what length her dresses and sleeves should be in order to maintain modesty. “Religion gives you rules. Without this religion, you have no rules and without rules, you have no life,” he added.